Launching the #Lab3 program, an initiative that is part of the empleaverde program from Fundación Biodiversidad (Biodiversity Foundation). 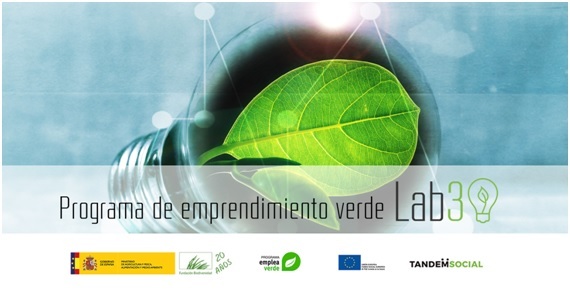 The aim of the program is to promote green and social entrepreneurship in the Autonomous Communities of Andalusia and Galicia. The program gives free training and follow-up to more than 30 entrepreneurs, favoring priority groups such as women, immigrants or people with disabilities, and includes a trip to Italy to get to know, first hand, successful projects with a high positive environmental and social impact.